Melissa. Let me know what kind and when. Rob is pretty bitter about not being allowed to win. I might just have to have a brownie party and invite all of you. Rob, you can lick the bowl. 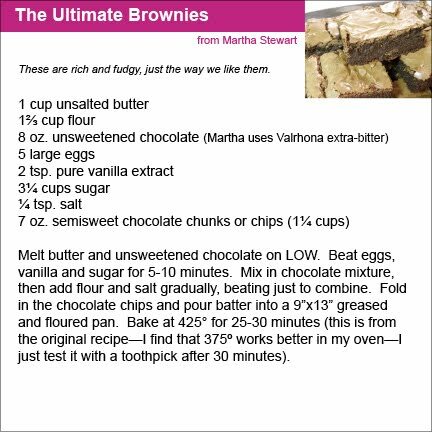 Here's the Martha Stewart Ultimate Brownie recipe I promised. For a long time I could handle the richness, but now I usually cut back a bit on the chocolate and sugar. Some people think that beauty is fancy clothes or make up, but I think beauty is happiness, kindness, and treating others the way you want to be treated. I think that someone beautiful would be helpful. For example my grandparents are beautiful. They may look old, and have wrinkles and white hair, but they are nice and happy and they treat others kindly and they are helpful. I think everyone on Earth can be beautiful if they are kind to each other. AND, guess who won these brownies?! Yes, this might be an unprecedented two-winner week in the Marsh family. Hopefully our luck will extend to our teams tomorrow. Too bad we're not still living in Idaho, we could give the lottery a try. :) Thank you, Stacy Julian, the only person I know of who loves brownies as much as I do. If you haven't checked out her blog, go and be inspired. 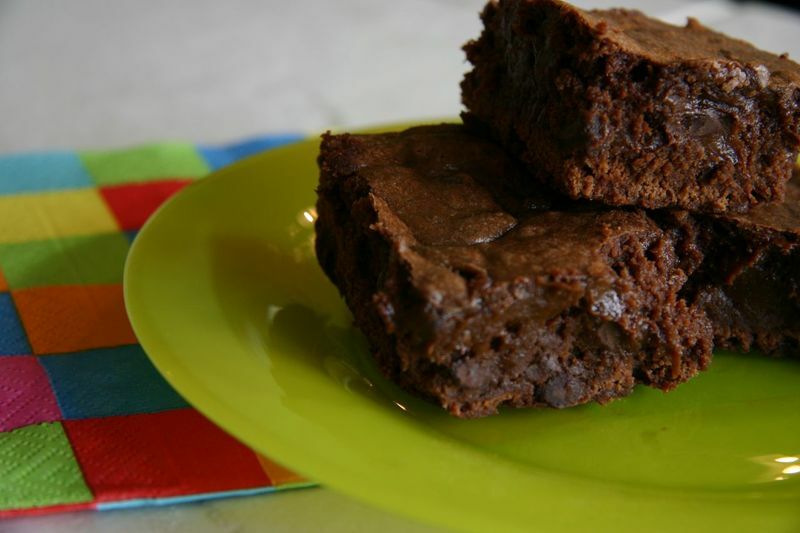 Since I'm feeling the love, and I think all three of you reading this would agree that if I had an area of expertise, it would be brownies, I too am going to give away some homemade brownies. Just leave a comment, preferably a lame one. I'll draw one of them at random on Sunday at 6:00 p.m. You can even pick which recipe you'd like: St. George Brownies, Mint Brownies, Brownie Cake or Ultimate Brownies (which I haven't posted yet, but will if you pick them). I volunteered to take a class photo at Ainsley's preschool, and discovered, as their teacher (my friend) Mandy said, that the photographers at Kiddie Kandids are seriously underpaid. We did end up with a few good shots, but there were many more silly faces than smiling ones. I love Ainsley's class—the other kids are all friends from the neighborhood or cousins. And Mandy is pretty much brilliant—check out her preschool blog and you'll see what I mean. I'm loving this year with Ainsley. I have a few hours a week to myself, and that's been great, but I really love having such a bright, fun, super cute friend to hang out with the rest of the time. I love this girl. 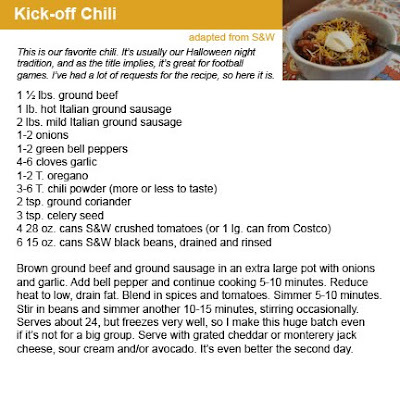 I've been promising to post this recipe for weeks. Thanks for being patient. Alright, this isn't really a highlight, but I can't document this trip without mentioning our three hour stop north of Beaver. What's sad is that we actually got out of the house at 6:00 a.m., which is a record for us, only to be delayed by a nasty snowstorm. While we were waiting for the gates to open our first day there, a cast member (Bob, pictured here with us) said he was looking for a family of six to open the park. Several families raised their hands until he added "from Utah." That's us! It was fun to be the first ones in. 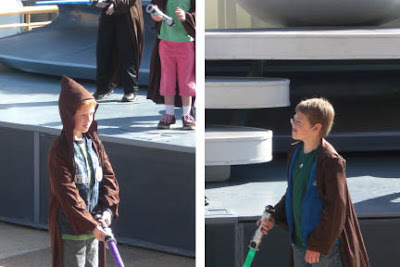 Both of the boys were picked for Jedi training, another first for us. I wish I had a photo of Ainsley hiding behind my back every time Darth Maul came near us. We didn't see as many characters this visit, but it was fun to see a few in costume. We loved Toy Story, the latest ride at California Adventure. The decorations everywhere were great. The Haunted House was completely redone in "The Nightmare Before Christmas." Joey was picked to be in one of the shows. Too bad he's not very dramatic. It was three times the fun on days two and three, since the Stringhams and Boydens were there too. Rob thinks this photo sums up the whole trip pretty well. No costumes this year, so we settled for shots in their Halloween shirts.